Dr. Robin Berthier is a postdoctoral researcher at the University of Illinois at Urbana-Champaign working with the group of Prof. Sanders. He received his M.S. in Computer Security from the National Engineering School of Bourges, France, in 2005, with honors. He then worked with Dr. Michel Cukier at the University of Maryland, where he received a Ph.D. in Reliability Engineering in 2009. He is currently leading a project on specification-based intrusion detection for the advanced metering infrastructure (AMI) as part of the Trustworthy Cyber Infrastructure for the Power Grid (TCIPG) research center at UIUC. Such technology enables the integration of formal verification of monitoring operations based on security policies and the prevention of both known and unknown malicious activity from being undetected. 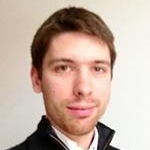 Robin Berthier has also developed two open-source applications: Nfsight, which is a Netflow-based passive server discovery framework done in collaboration with researchers at AT&T Labs; and Honeybrid, which is a hybrid honeypot framework for collecting attack data on large IP spaces.